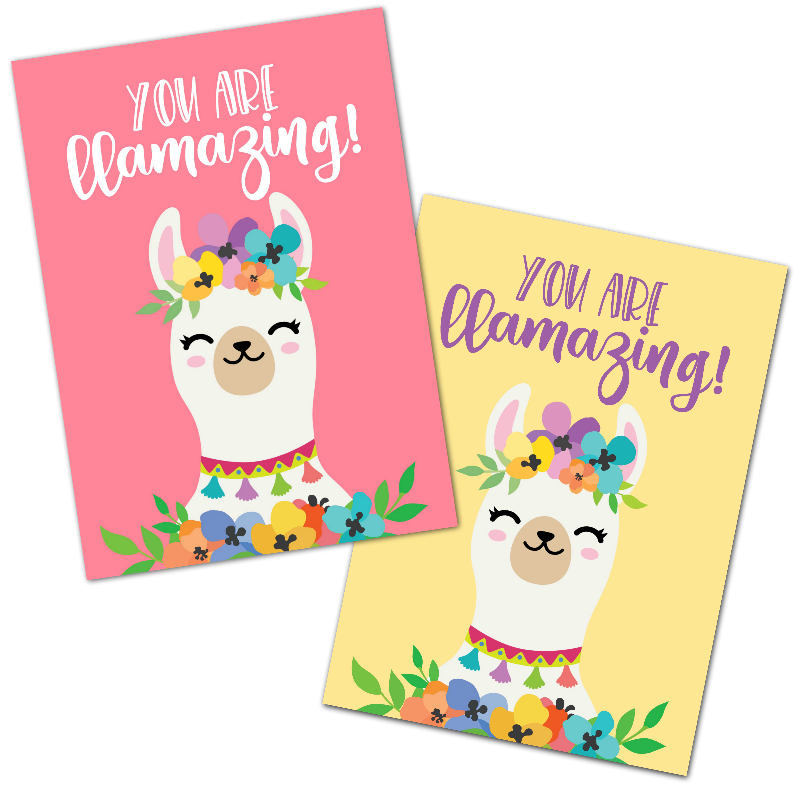 Love llamas? Looking for inexpensive wall art for your home or a free card for a loved one? 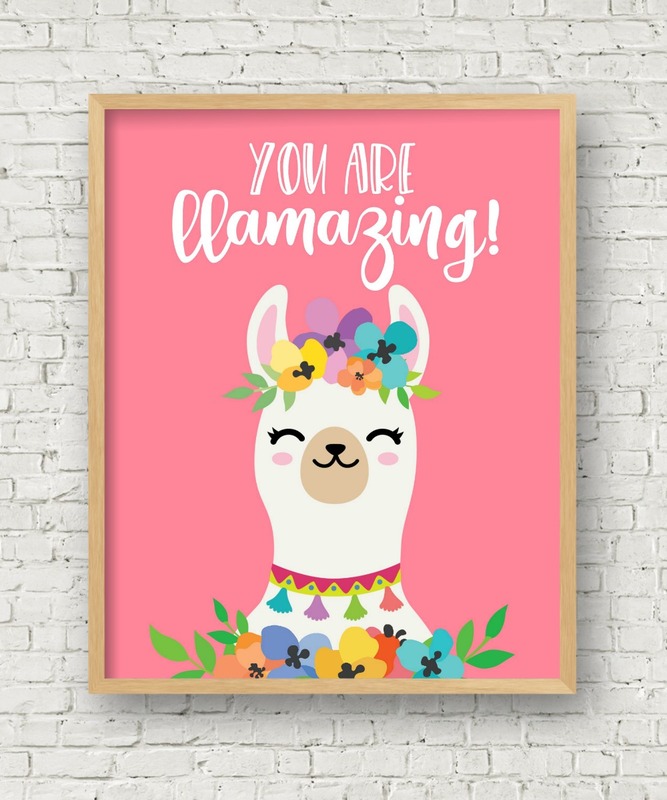 Then you are going to love this Free You are Llamazing free Llama printable! Happy Freebie Friday! I’m so excited to share today’s free printable. Not only is it fabulous but it’s also llamazing!! If you follow me on Instagram you saw a little sneak peak. Well, today’s the day to download it for FREE. Who else loves free as much as I do? 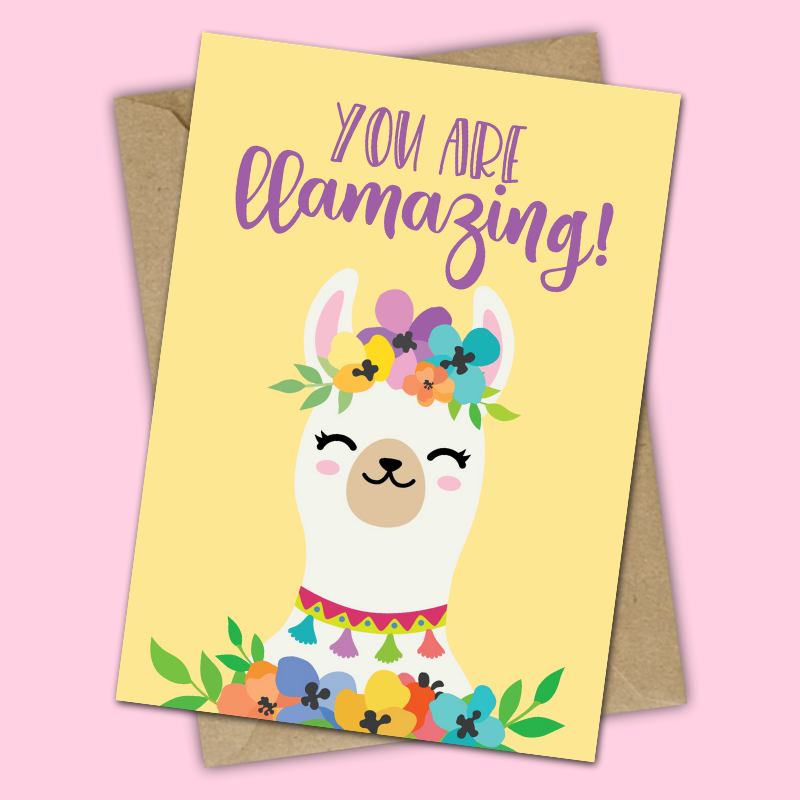 I think this llama printable would look great framed in a nursery or print out the blank card and give it to all your favorite people. I have it in two different colors for you but if you want a different color, just email me. I’ll be happy to change the background color and font color to match your room’s decor. 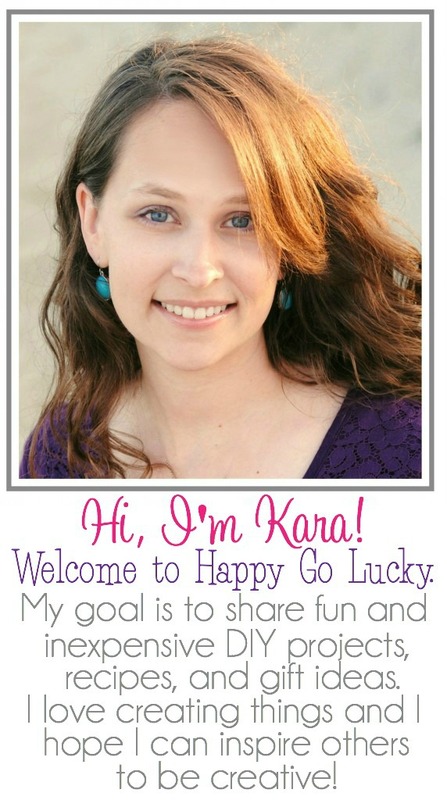 The best way to print free printables is on white cardstock or photo paper. When I’ve tried to print on regular printer paper I’ve found that the ink causes the paper to wrinkle a little especially if the printable requires a lot of ink. Framing a printable on good quality paper makes a huge difference. Thanks! These are beautiful! I will put them to good use. Adorable!!! !